This has been quite the exciting KSL as we have seen players put forth even more effort to try and make the next round. As it stands, the Ro16 has ended, and we are now poised for more battles in the quarterfinals. We've seen some interesting results in all the groups, with some groups have more quality games than others. Group A saw Action, Miso, Light and Rain battle it out. Rain advanced in first place as anticipated, with a 6-1 record while Miso, the surprise of the group, beat both Action and Light, 3-2 and 3-1 respectively to advance in second place. The Light vs Rain Fighting Spirit game, Action vs Miso Benzene, and the Light vs Miso series were all noteworthy, and are an interesting watch for anyone interested. Group B featuring Mind, Killer, Soulkey, and Mini also had its own surprise. Mind taking first place with a 6-1 record after beating both Killer, and Soulkey quite convincingly. This certainly made headlines! Soulkey ended up taking second place after he once again defeated Mini in the deciding match. We did see a dark archon in their earlier series so something to check out. Group C had Sharp, Larva, Jaehoon and Movie face-off against each other. 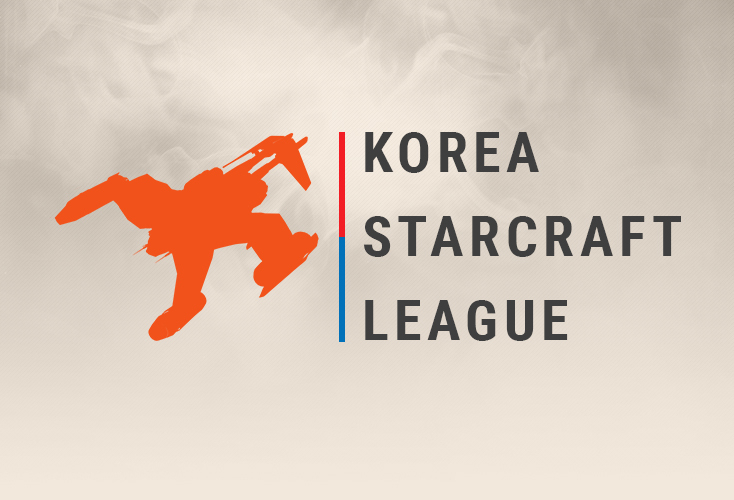 Larva advanced in first place after 2 very close series against Sharp, and Jaehoon. However, Sharp was the most impressive member of this group, taking Larva to a deciding game with some stellar micro, and decisions. He then beat Movie, 3-2 and Jaehoon, 3-1 to advance in second place, all the while showing that he can tangle in other non-TvT matches. Finally, group D featuring Leta, JyJ, Modesty and Last was probably the weakest group this KSL. Last advanced in first place as anticipated, but Modesty put up quite the fight in their winners' series, playing a fantastic game on In the Way of an Eddy that should be watched. Leta took second place after defeating JyJ then playing against Modesty yet again, but winning 3-0 through the use of his signature unit, the wraith. The quarterfinals will be just as exciting as the Ro16. Group A of Rain vs Leta and group B consisting of Mind vs Sharp have been previewed by Ty2, and BLinD-RawR respectively. The games are set to start in . While the results may look predictable, preparation and mind games will be at play here. Group C of Soulkey vs Larva and group D of Last vs Miso have been previewed by Ty2, and our newest recruit, TaardadAiel respectively, and will be played the following day. If you're someone who loves his ZvZ, and TvZ, make sure to check them out! Let's get ready for some action!!!!!! Relic of the Past or Playmaker of the Future? Leta enters the Ro8 after a cheeky Bo5 vs. Modesty. Zerg fans looked on in mild disappointment and others in amusement as Leta 2 port wraith-ed all 3 games of the series. His unique, self-willed form cheerfully ignores conventions to make his trademark 2 port wraith still relevant today. That wasn't the only part of Leta's play that impressed me. His aptitude for the competitive arena, much like Boxer, and the opposite of Light, has him run circles around mechanical equals. Leta's series versus JyJ and Modesty showcased exactly that with his extensive preparation, adept mind games, and execution under pressure. Each time he had a major play and elaborate game plan that set the pace and outmaneuvered his opponents. That is what he has going for him against Rain, lone Protoss and arguably the best player in the tour. Make no mistake - Rain vs. Leta is the most one sided of the Ro8 - but in the circle of low tier players, Leta has the best chance. He'll need every chance he can get to beat Rain in his worst matchup in a slightly TvP disadvantaged map pool. Aztec and Heartbreak Ridge are the worst offenders. I'm sure Rain knows he's the mechanical superior, and by every measure the precedent is for Leta to do wonky strategies. That might almost be too predictable. Then again, wonkiness, especially the brand Leta will have prepared, will be anything but. After all, smart players will anticipate what their opponents will do and stay one step ahead of them before the game has even started. Not to wander too far off into the realm of far hopes, I will say the mechanical gulf between the two is un-mendable. What we'll most likely see is Leta doing ambitious, high committal styles, that versus an adequate response by Rain will fizzle out. Or, we'll see a late game taper off painfully into a prolonged torture of Leta who mistakenly thought he could take Rain to a macro game. The most unfortunate scenario would be for Leta to gain an advantage only to lose by virtue of Rain's superior mechanics in disappointing fashion. Even before that, Rain might just dissect him completely through his polished shuttle reaver aggression and good dragoon micro, or an almighty avalanche of protoss units. I will say that in Leta's favor, the choice of strategy he opts for could change the dynamic of some maps. We saw that in Fantasy and Ssak's dropship play to circumvent the disadvantages of Heartbreak Ridge. That's exactly what we saw Sharp attempt to do and almost was successful in deterring Jaehoon's shuttle play. That same technical play is one I can see Leta doing, and possibly one upping himself with his own spin on the strategy. One weakness of Rain that Leta can abuse is his unbending will to play standard, and only moderately safe, in the absence of information. That's exactly the kind of insight Leta has shown before for a best of series and reading his opponent. That can set himself up for 2 factory plays, or dare I say, starport 1 base plays. On unique maps like Aztec or HBR, Leta can cut underwhelming wins from Rain's otherwise steely exterior. Rain also shoots to play safe in situations he shouldn't. However, such situations aren't as dynamic in TvP as other matchups. Rain can also redeem himself macro-wise more easily. In any case, we might see a lot of 2 base aggression, and in a world class mind game, fake 2 base aggression into a third base. We may even just see a straight up early ninja base. All in all, Rain is the clear favorite, but Leta cannot be entirely counted out. He's shown his mental fortitude for competition and series preparation. That factor, given a slim chance, may blow wide open Rain's weaknesses. Those same weaknesses have been exploited before and can change the tone of the series. And again, anything can happen on a live stage, and Rain hasn't exactly been invincible. Strictly looking at the sponbbang numbers, not only has Sharp been more active in the sponmatch scene, he's also won more with an overall of winrate of 64.1% from 103 games compared to Mind’s 48.6% from 70 games. In TvT alone, Sharp has a 63% win rate (17-10) vs Mind’s 43.5% (10-13). But this has always been the hallmark of Sharp, who's made his deepest runs in all offline tournaments over the last 2 years on the back of his TvT. Mind’s TvT has been shaky for a very long time, and more often than not, it tends to play out in a very similar direction with Mind usually coming strong early game only to lose out towards the mid to late game. This is usually due to being indecisive with his actions or poor decisions all around like missing drops or over-committing to a drop leaving a lot of his units out of position and stranded. If you’ve already seen Sharp’s games in the other matchups in this season so far, you can tell that what made him succeed in TvT has been paying off there too, his tactics. Sharp is a lot more of an adaptive player, who's successes and failures were dictated by his tactics. He can, for sure, fight toe to toe in a TvT like the rest of them, but unlike what we have seen from Mind, time and again in the matchup, once Sharp is behind, he knows how to shake the game back in his favor, starting with his vulture drops and control. This series should play out in Sharp's favour, unless Mind takes the early game advantage, capitalizing on it with better scouting or he just ends the game early. The longer the game goes on, the more likely it is that Sharp can come back than vice-versa. Expect a Sharp 3 - 0 Mind victory. That moment sums up Larva's ZvZ for the greater part of his career. To be fair, Larva has improved his ZvZ, not falling completely behind forefront players Shine, EffOrt, Jaedong, and the like. However, Larva is, surprisingly, the best ZvZer when the spotlight hits his shades just right. And that's when he's on stage where his mind games, important for best of series, and doubly so for ZvZ, absolutely dominate. Versus Hero in ASL4, he had build order advantages in 3 of 5 games. Versus Jaedong, Shine, and EffOrt, in separate ASLs, he had build order advantages in all Bo1's in the group stages. For all, but 2 of 8 ZvZs, Larva had perfect mind reads which is impressive. This comes from the same player who went roughly 2-14 vs. Shine in practice games prior to playing Jaedong in the ASL. For whatever lack of micro, subtlety, and overall aptitude for the matchup Larva has, his mind games more than make up for it. In a Bo5, Larva will be working his magic on Soulkey in no time. Now, Soulkey, an otherwise decent ZvZer, has been victim to the matchup's infamous volatility. That same trait has been Soulkey's vice, as he's been known to choke in razor-thin situations before. That was shown most notably when he was knocked out by Action in the first flub of many down the line. Outside of the Action game two ASLs ago, Soulkey hasn't had many chances to showcase his ZvZ. On average though, in online games, he fares better than Larva versus top Zergs. In terms of mentality, Soulkey is hungrier than ever before to make his mark. Larva, meanwhile, raised eyebrows with his latest antics. A 7 pool versus Jaehoon? Really? This feels more like a showboating endeavor by Larva. Nevertheless, the tomfoolery will take a sidestep when facing Soulkey. 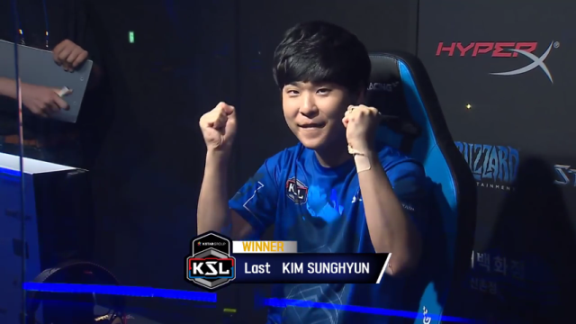 Regardless, the KSL, a less prestigious ASL, doesn't feel like a priority compared to streaming for Larva. Going into the series, I believe Soulkey will have the mindset of not pushing aggression given Larva's great track record of defending. This will lead to some hesitancy from both sides and mediate itself to passive 12 pools and 12 hatches for the standard maps, excluding Roadkill and Aztec. As for how the actual games will play out, the first map, Heartbreak Ridge, is a 12 pool/12 hatch map. ZvZs, especially in tournaments, tend to have large swings game one to set the tone. An unexpected 9 pool given the large rush distance can do that. Start aggressive to make the opponent fearful in subsequent games, or, start off greedy to run away economically. Larva has always been the one-upper, the one to think two steps ahead. That said, I don't think we'll see an out-of-this-world 9 pool vs. 9 pool mind game. We're going to see Larva taking the greedy route of a 12 hatch in the first game. Soulkey, consequently, will dial back the risk taking of a 9 pool for a modest 12 pool. That'll settle itself into a drone-heavy and passive early game. This will be the blueprint for how many of the other games will go. Then again, I can see Soulkey attempting a highly ambitious series strategy of aggression. He may 9 pool the second, third, and even fourth game. This is a mistake, and Soulkey should be the one to play more conservatively. Dish out the 9 pool (maybe lair first, or aggressive speed first) only one game. Play safe, don't take wild risks, and don't over-complicate things. Let Larva play against Soulkey on equal terms. Then, Soulkey can outplay Larva through his subtle micro mistakes over a longer period of time. Given the average micro player Larva is, 9 pool is not his forte. In that vein, he'd play 12 pool lair first (as opposed to safe/semi-aggressive ling speed) or 12 hatches with plenty of drones. The next prevalent subject is how game 2 will play out. A player down 0-2 with Soulkey's mentality will have almost no chance of coming back. That's why Soulkey is fortunate because Aztec, the assumed map for game 2, has a large positional disadvantage at the 12 o'clock. That's because the main base is open on all sides to muta harass, favoring lair first builds where the expander is forced to spore. That introduces a lot of variability in opening builds, and is better for Soulkey. In that type of game, Larva's jumbled decision making in slippery situations and mismicro can be exposed the most. Also, since his last series, I think we're seeing a marked improvement in Soulkey's mentality, but only slightly. Overall, I'd put Soulkey as largely inconsistent, and very much unpredictable in mentality. On the other hand, Larva's godly mind games cannot be ignored, giving him the minor edge. For Soulkey to defeat Larva here, will be a momentous occasion of finally overcoming his tilt, and not rushing to press the trigger on risky plays. For Larva, victory here may be decided by unexpected 9 pools. If there are two players that HAVE to be in the spotlight in the Ro8, Last and Where readily come to mind, albeit for different reasons - and what do you know, they’re already matched for the first bracket round. Kim “Last” Sung Hyun has been labeled the second best Terran player almost to the point of monotony since Brood War and then StarCraft:Remastered made their return to the big offline stages. He’s been tearing almost everyone apart in sponmatches for years now, boasting amazing winrates in every matchup against formidable foes. He even took to wearing the nickname AlphaGo. Yet, after a 3:0 thrashing of Flash himself in the Ro8 of ASL season 1, he has somehow failed to deliver in an offline environment, leaving the next four seasons fairly early (plus Flash had his revenge in ASL3 with a 3:0 victory over him in the Ro8). There were the obvious signs of a great player, and there were even some online results in his two consecutive finals in DanJJING Star League seasons one and two where he finished first and second, respectively. Still, a top offline finish - let alone trophy - had eluded him for quite some time, ever since the first ASL. So, prior to the start of the Korea StarCraft League Season 1, he apparently decided to change his approach. He obsessed with preparation, playing just a handful of sponsored matches, leaking no strategies - and went headlong into a 0:3 defeat at the hands of Mini in his very first match of the tournament. At the time, that was felt to be typical of his offline performance. But Kim Sung Hyun wasn’t having any more of that, so after defeating Movie in the losers' match and a hectic rematch with Mini, he managed to advance to the Ro8. He returned to his typical shaky performance then, having to play all five games against returning Protoss veteran Horang2. And then his moment came. After meticulous preparation and through the split-second decision-making he became famous for, Last defeated ZvT expert Soulkey 4:2 - and then delivered the big blow, winning a clean 4:0 victory in the finals against The Tyrant himself, Lee Jaedong. He had finally managed to leave the mark the BW general public always knew he was capable of leaving. He then proceeded to the ASL6 semi-finals in a fairly confident fashion, where he was finally stopped by eventual champion EffOrt and his novel tactics in an epic five-game series, eventually finishing third. His performance so far in KSL2 bears the same characteristics; Last has been calm, confident and consistent, truly champion material - qualities that his offline play was sorely lacking just four months ago. There’s more! Even though he kept his sponmatch numbers low and continued his approach of careful preparation, he has decided to mix his strats up in contrast with the almost stubborn way he used the volatile 1-1-1(2) builds in his previous TvZ matches. To be honest, he has not had the most formidable of adversaries in his group in JyJ, Leta and Modesty, though the returning Zerg ex-pro managed to pull one game off and present a genuine challenge for two more before eventually succumbing to the exquisite technicality of AlphaGo. Even so, Last enters the Ro8 in possibly the best shape of his career, with his recent offline TvZ winrate sitting at 63.6% (14-6). For his part, Han “Where” Doo Yeol had not had neither spectacular online performance nor any real offline results, until very recently, that is. He didn’t participate in KSL nor ASL1 or 3. He exited in the Ro24 in the ASL2, 4 and 6 and in the Ro16 of ASL5 (though he managed to finish his Ro24 group first, featuring a defeat of Last on Sparkle - one of his two ZvT wins for quite a while). His online ZvT winrate has been rising recently. A total of 38 games since October have earned him 55.3%, with six wins in ten games in November making the sample size suspiciously small to register any real improvement. 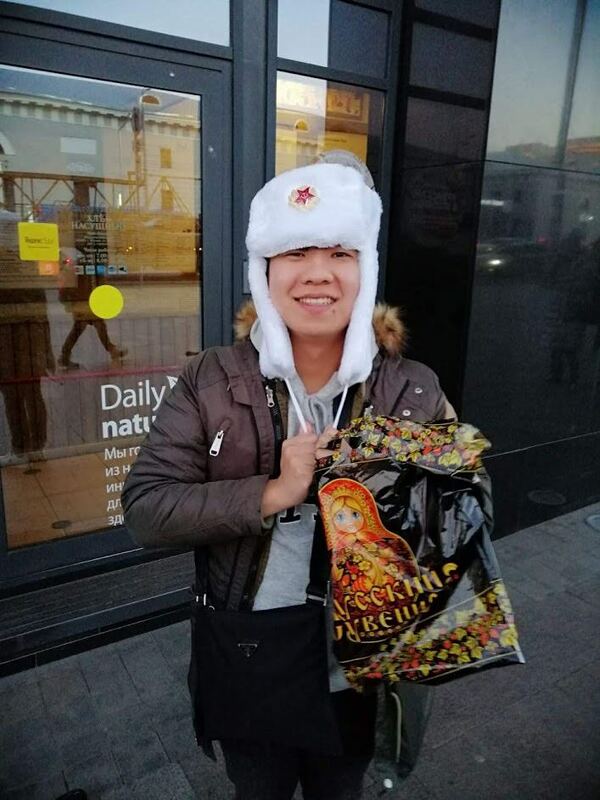 Nevertheless, at least in terms of offline tournaments, the results have come as of late: first, Where traveled all the way to Moscow for the Brood War 20th Anniversary LAN to defeat Sharp 2:1 and Shine 3:2 and emerge as the champion. Although this is clearly not a premier Korean tournament, there were signs of possible things to come. ...and Han Doo Yeol hwaiting as well. And things really did come. To qualify from his Ro16 group, Where had to face TvZ specialist Light who had long been acknowledged as a master of the matchup ever since his KESPA days. Although his recent offline results have not been entirely consistent with that (losing to Soulkey and Jaedong in their group in KSL season 1 and then losing to Action in ASL6 Ro16), he’s still a force to be reckoned with, boasting a 68.8% sponmatch winrate since October in the matchup - and having defeated Action with a convincing 3:0 in his previous match. Light was the clear favorite going in the series, or so it seemed. Where played the series in the currently popular aggressive two-hatch muta style he prefers. After losing the first game to some questionable decisions and Light’s solid defense, he decided to turn up the heat some more with some prepared deviousness. With a beautiful mix-up of cunning ambushes, guardian/devourer sieges (yes, devourers were used in that series! ), audacious tech switches and outright evil mind games he took the next three games in a fashion that quite possibly might have made July shed a tear of joy. For his part, Light was passive and overly reliant on his solid fundamentals, offering little more against Where’s cunning-ness. To be certain, the mutalisk micro and movement around the map did not suggest in any way that the mechanical difference between the two was too skewed in favour of the Terran player. Where had suddenly shined on the big stage. With all that said, Last is still the clear favourite in the coming match in terms of stage experience, mechanical prowess and strategic know-how. Having expanded his arsenal of builds, relying on his precise micro and decision-making in defense and inhuman macro in longer games, Kim Sung Hyun is more than a match for Where’s aggression and cunning-ness. The midgame is Where’s forte where he capitalizes on scout-denying and small tactical opportunities for harassment. Being preparation incarnate, Last should not be the training dummy Light somehow turned out to be, and will be very active in both preventing damage and inflicting some of his own. We might see any number of cheeses on both sides from 4 pools through 8 raxes into 1-1-1 to BBS. Both players enter the match having made an impression and Where should not be counted out, but he has some serious shoes to walk in. Thank you guys for your amazing analysis! Anyway, I would not understimate Mind, he put on a real fight in both games he played vs Flash on the BJ destruction tournament. Hyped for what will come into the next days! I'd say the same for Mind. He's had really impressive mind games (no pun intended) before, defeating Flash, Last, and as you all know, Soulkey. I think it's gonna be a close one that's for sure. Sigh, lost my post from a misclick on my phone. Go Rain (btw percentages dont add up in the Rain vs Leta prediction)! Hope for Rain vs Soulkey. whoops. let's just say i rounded a bit. Neat analysis as always, thanks!! I think what he wrote makes perfect sense. From a percentage basis, he gives Larva the advantage, but he believes SK has what it to takes to win this match, thus the SK win prediction. In the world of logic and rationality, considering how probability are defined mathematically, this makes no sense. If you estimate the probability are Larva 53.5% vs. Soulkey 46.5%, then the most likely event is: 3-1 Larva win, because this event happens about 20% of the times and it's probability of occurring is > than all the other events. This is true also with any P(Larva) < 53.5% (in case you are arguing the 53.5% is for the whole series and not for the single match). So I think the writer just made a transcription mistake and wanted to write either 3-1 Larva win or Soulkey 53.5% vs. Larva 46.5% OR he could have been consider other factors not mentioned for his 3-1 prediction. In the world of logic and rationality, considering how probability are defined mathematically, this makes no sense. If you estimate the probability are Larva 53.5% vs. Soulkey 46.5%, then the most likely event is: 3-1 Larva win, because this event happens about 20% of the times and it's probability of occurring is > than all the other events. So I think the writer just made a transcription mistake and wanted to write either 3-1 Larva or Soulkey 53.5% vs. Larva 46.5%. Prediction as I use it here is not meant to be taken statistically, but just the general meaning. It's what I believe will happen from my intuition. I guess adding "My Own" or "Personal" beforehand would have made things clearer. I see why there'd be confusion as I didn't elaborate, but I was hoping it'd make sense anyhow. 53-47 are taken from a statistical analysis of previous games between SK and Larva? Otherwise, if you believe, with your personal intuition, that Soulkey has a major chance to win the series, you should include this consideration in your "probability estimate", giving a P(Soulkey) > P(Larva). What's the secret forumla and why do you choose not to follow what it says? Is the formula bad or are you bad? c'mon guys. It's just a game. Nice write up everyone and guesstimations. Liquibets on Larva and Last but I'll be pleased if MisO can pull it off. Soulkey does not look good here unless he's a god with muta because that's where Larva kinda slips up; he prefers to end his ZvZs with lings. Thanks for the nice writeup. High quality article, feels like the old days! Ty guys for the hard work! This is a small/little thing, but I really appreciate it that you called Jaehoon by his original name, instead of 'Bermuda'. When I tuned into the game, I thought it was an upcomer player.